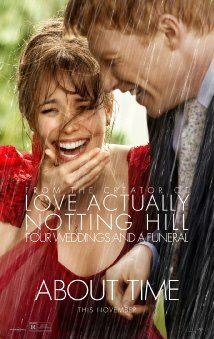 Who doesn’t love a romance movie with Rachel McAdams? She is basically our generations Meg Ryan. Fortunately she doesn’t lose her memory in this film, nor does she get swept off her feet by Ryan Gosling (sigh). Overall, I would say that it is a pretty okay movie. You are probably wondering why I say an “okay” movie. I think the movie was too long and throughout the movie you start to lose interest. I was sitting in my seat debating to go get popcorn or stay? In my opinion, once you start worrying about popcorn, then the movie just isn’t holding your attention. The movie was also predictable and I felt I knew what was going to happen next. I knew that if I went to get popcorn, I wouldn’t have missed anything important. 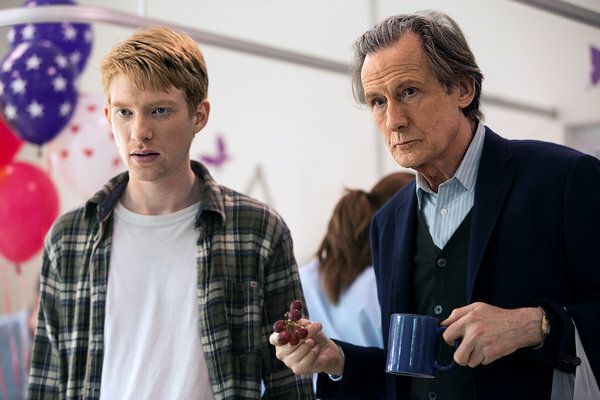 About Time is a love story about a man named Tim, played the handsome Irish actor Domhnall Gleeson, who at the age of 21 is finally told about his family’s legacy or power which is he can travel in time. He just has to find a dark closed spot, close his eyes and clench his fists and BAM, he can travel in time. I just kept thinking “Damn I want that power” or “Wow I could do so many things or redo so many things different in my life.” But for Tim he just wants to find a girlfriend which is something he has wanted his whole life. With this power he realizes that this can become a possibility, it should be easy to impress a girl right? With his time traveling ability he can redo first impressions, dates or kisses etc. He ends up meeting Mary, played by the lovable, Rachel McAddams, and realizes this is the girl of his dreams. The fact that this movie had Domhnall Gleeson made me want to stick through the movie. He does an awesome job in capturing a dorky 21 year old looking for love, who despite being able to travel through time doesn’t make him any less dorkier. I also love that this movie was set in the UK, just like Notting Hill and Love Actually, makes sense because they all have the same director. When it comes down to paying money to see this movie in a theater, I honestly wouldn’t recommend anyone paying $12 dollars and should just wait till it comes out on DVD. Overall it was an “okay” movie, it left some questions to be answered and I believe many people like me had high expectations for this flick and it did not live up to them. Mostly agreed. I wasn’t a big fan either. In fact, I started looking at WordPress at various points while it was running (I was the only person in the theater). It just didn’t really appeal to me. Though McAdams and Gleeson were both very good. I thought I would hate this movie, but I was surprised and actually liked it for the most part. There was some things about the Gleeson character I did not like though. I agree with your thoughts about this being a rental.